Epic Games invent technology in order to maintain their place as one of the cutting edge names in game development. That’s what Epic Games Vice President Mark Rein told Sports Interactive boss Miles Jacobson in a developer dialogues session at Develop Conference 2012. 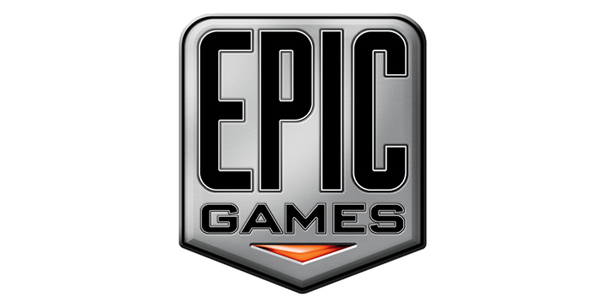 “We want to be on the bleeding edge of technology and that means having to invent it” said Rein, who enthusiastically pointed out that in order to improve as a company, Epic are always hiring. Of course, Epic recently revealed the potential future of gaming by showcasing an Unreal Engine 4 tech demo. But while Epic Games want to be number one when it comes to video games technology, their UDK modding tools allow developers of all abilities to create games, and Rein said this was always part of Epic’s plans. “We always intended to make modding tools clean and easy enough for anyone to use.” he said. Epic Games partnered with Train2Game earlier this year for Make Something Unreal Live, which saw winning team Commando Kiwi walk away with a fully licensed Unreal Engine for iPhone and iPad. There’s more news from Develop Conference right here on The Train2Game Blog, while be sure to keep reading for the latest from Epic Games. What are your thoughts on Rein’s comments? Is inventing technology necessarily to be at the cutting edge of it? Train2Game students are launching four new development studios in 2012 as part of ‘Make Something Unreal Live,’ a competitive process designed to accelerate their careers by giving them the tools and resources needed to release games for iPhone, iPad and iPod touch this spring. The studios are Commando Kiwi, Derp Studios, Digital Mage and Indigo Jam. The first titles released by the studios will be based on the Fighting Fantasy series of books created by Ian Livingston and Steve Jackson. We caught up with IndigoJam’s Daniel Rutter to find out how the road to Make Something Unreal Live at The Gadget Show has gone so far. Listen via Train2Game Radio or read it here on The Train2Game Blog. Hi Daniel, what’s the name of your team for Make Something Unreal Live, and why has it got that name? We’re called IndigoJam Games, and there are a few different reasons. The main one is that Indigo is a colour that scientists can’t decide whether it does or doesn’t exist and it has a bit of mystery around it. And the word jam comes from, well, we all met at the Train2Game & Epic game jam. That’s how we got to know each other, that’s what we’ve got in common and those things came together and sounded quite tasty and so we ran with it. You’re now moving forward to Make Something Unreal Live where you’re using the Fighting Fantasy IP to make a game, which is of the Fighting Fantasy books is your game going to be based on? The book we’re doing is one of my personal favourites, and it’s Deathtrap Dungeon. What genre of game are you making? We were given the genre of the action adventure game, probably one of the broadest ones out there. But it goes well with Deathtrap Dungeon. Definitely. We had the choice of House of Hell or Deathtrap Dungeon. We thought House of Hell was more of a survival horror – still a good IP that we’d love to do at some point – but Deathtrap Dungeon fitted really well with our action adventure brief. Tell us a bit about your game then, the mechanics, how it works. We’ve opted for doing a first person action adventure game, keeping with the idea of the book that you are the player, it’s all about you, you don’t have another character there that’s getting in the way of the story, it’s just you and the action. We’ve also stuck to keeping dice for combat, which is very much rooted into that mythos, that’s what all of the books have, that’s what I fondly remember. We also have a little things like environment kills and being able to sneak around; you can play through the levels in a couple of different ways depending on whether you like doing the combat with dice, or whether you’d rather avoid the enemies of dispatch of them in other ways. And how have you found developing for the IOS platform? Developing the game has been fantastic. We’re fairly early adopters for UDK on IOS, there have been a few games and they’re gradually coming out now, so it’s really been a finding our own way of doing things. But once you sort it out, it’s amazing, especially the way we can plug in our iPhone or iPad, plug in the game and actually have it there, play test it, it’s really, really good. How have you found the transition from being a team at the Train2Game & Epic Game Jam, to being a fully functioning game developer working towards Make Something Unreal Live at The Gadget Show? It started off absolutely terrifying! Suddenly, you’ve gone from 48 hours where I’d turned up for the experience and to have fun, and we came out really well from it, which is really good. And then suddenly The Gadget Show is up for grabs, a licence is up for grabs, we really had to knuckle down and come up with something. But we’ve had to work around some clever ways of working because we’re not in the same room, you can’t just lean over and look at what another person is working on. So, our lead programmer set us up with a forum where we originally started coming up with ideas. Then we were given our IP, we have a Teamspeak account so we can all chat online, so we verbally communicate. We use various web based software for sharing screens, so we are kind of working in the same room, but over the internet. Are you looking forward to making a game at The Gadget Show live, potentially in front of thousands of people? I’m really looking forward to it actually, I really am. I’ve always been interested in games, and if something like this had been going on I would’ve been there to see what’s going on and I’m sure lots of people will have lots of questions and I now feel like I’m in a position where I can answer some of those questions because we’re doing it. That’s really cool. What are the contact details for IndigoJam on Facebook and Twitter? Our Twitter handle is @IndigoJamGames and our Facebook page is also IndigoJamGames. So come along, like us, follow us, we’ll share information with you. Thanks for your time and good luck for The Gadget Show. Keep up to date with the latest news from Make Something Unreal Live here on The Train2Game Blog. We caught up with Commando Kiwi’s Adam Sherratt to find out how the road to Make Something Unreal Live at The Gadget Show has gone so far. Listen via Train2Game Radio or read it here on The Train2Game Blog. Hi Adam, tell us about your team for Make Something Unreal Live, Commando Kiwi. We all met at the Train2Game & Epic Games game jam in November. We all worked very closely together then and we actually came up with the winning game, obviously, that’s why we’re in this competition! We’ve all grown very close, working closely together on these projects, and we’ve got a nice range of skill sets – we have somebody who is good at just about everything – and it’s really working for us. How are you finding working with the Fighting Fantasy IP and the Unreal Engine? The Fighting Fantasy is very exciting. I honestly hadn’t heard of it previous to this, but having read the book, I can see why the series is so popular and it was a very exciting experience to read the book and think ‘we’re going to make a game out of that.’ As for the Unreal Engine, it’s been incredibly helpful, it has little quirks, but I can honestly say, without using such an amazing technology, we wouldn’t be able to pull this off in the time we’ve got. You’re making a third person game on IOS for Make Something Unreal Live, how is the process of that going? Building a game using UDK for iPad? It’s a bit more difficult than making a traditional game for PC, there’s a lot of considerations you’ve got to have in watching the performance and that sort of thing; you’ve got to build things in a particular way. Obviously, being on a small screen means you’ve got to watch how it’s laid out. It’s been quite a challenging process but also quite rewarding, because it’s pushed us more to think about what we’re doing and how we’re doing it and how it’ll work for the player. So you’ve learned new things as you’ve gone along, in addition to using the knowledge you already have through Train2Game courses? That’s right. As the lead programmer I use a lot of Unreal scripts, and the Train2Game course teaches you C++ which is very similar. I must say, this experience has been incredibly educational, I’ve gone away and learned lots of different things, and putting these into the game has been very exciting and a great learning experience. What have been some of the landmarks so far in the development of your game? This first landmark was just getting a character on the screen and running around! We have a very simple touch and move interface, and just getting that nailed so anybody could play it – a 10 year old, a 40 year old, whoever wants to play it – it’s so simple anyone could play it. Next key, milestone is we’ve recently got battles working; once again it’s a very simple interface which we can’t go into much about now, secrets, secrets! But once again, it’s a very simple Fighting Fantasy meets Final Fantasy style, very exciting times. How have you found the transition from being a team at the Train2Game & Epic Game Jam to being a fully functioning game development studio working on IOS with UDK? It hasn’t been too bad really because we got on so well at the game jam, and we all became good friends then. The only challenge really is communicating via Skype and the internet. We have our own forum, Facebook page, Basecamp, Skype conferencing every week and we talk to each other over the phone. The only challenging part really is the distance, but we keep in close contact with one another and as a result we’ve been able to stay close together as a team just like we were at the game jam. Distance won’t be a problem when you’re at The Gadget Show Live, how much are you looking forward to being part of Make Something Unreal live at The NEC, Birmingham? It’s incredibly exciting. I mean, I’d heard of it beforehand, but I never thought I’d get the opportunity to compete at it. So I’m incredibly excited to show the judges and obviously the 125,000 people there what we can do. For those who want to keep up to date with Commando Kiwi on the road to Make Something Unreal Live, what are the details of Facebook and Twitter? You can like us on Facebook at www.facebook.com/commkiwi or on Twitter @CommandoKiwi. Great, thanks for your time Adam and good luck. We caught up with Commando Kiwi’s Jonny Robinson to find out how the road to Make Something Unreal Live at The Gadget Show has gone so far. Listen via Train2Game Radio or read it here on The Train2Game Blog. Hi Jonny. Your team for Make Something Unreal Live is called Commando Kiwi, what made you decide on that name? There wasn’t really any decision on the name, it was just a case of asking ourselves what sounded cool, what sounded indie and we just chose Commando Kiwi. Someone on the team just said ‘Commando Kiwi sounds cool’ so we decided to roll with it. It wasn’t a real decision, because we didn’t want to take ourselves too seriously as a team, we just want to have as much fun as possible. And you had a bit of fun making the Commando Kiwi logo as well. Oh yes. If you didn’t know, we hosted a little competition, a little social media pump if anything. We asked our Facebook fans to make us a logo, and the best one, a team decision, was made our actual logo, and thanks to Dave Higgins, we have a cool little logo. So that’s going to be representing us for the Make Something Unreal Live event. You’ll be working with the prestigious Fighting Fantasy IP, which book in particular is your game going to be based on? We’ve got The Warlock of Firetop Mountain, the iconic one…unfortunately. Well, it’s not unfortunate but it’s just more pressure compared, I think, to the other teams. And which genre of game have you been assigned to make? We were given the third person style. At the Train2Game and Epic Game Jam, I read out ‘third’ at the presentation, so we’ve taken on the assumption of third person. Does that mean the game is Fable-esque, perhaps? No…I’d like to think our game has taken the course of Final Fantasy meets Infinity Blade. We’d like to say it’s a good looking game, really lush, with this kind of strategy element, making sure you pick the right moves at the right time like you’d see in a normal Final Fantasy. We’ve designed it that way so it has simple controls and not too thumbs heavy; it’s the same as another touch and play game. 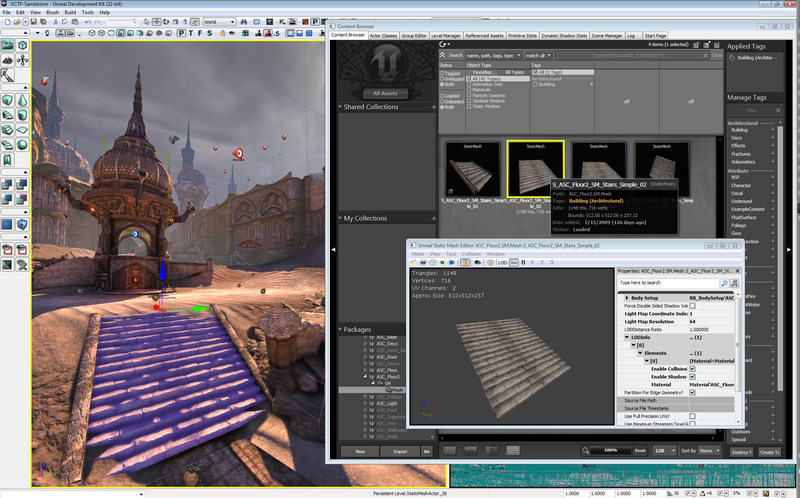 How have you found working with UDK in the run up to Make Something Unreal Live? It’s a great piece of kit. It’s been stressful at times, but it’s just like with any piece of software, there have been builds that have gone down and we’ve had to rebuild, luckily I’ve got an amazing team. We’ve tackled some hard problems on the UDK, we’ve bent the engine to our will, but it’s looking really cool and hopefully we’ll be delivering an awesome game. And how have you found the transition from being a team at the Train2Game and Epic Game Jam, to being a fully functioning team going forward to Make Something Unreal Live at The Gadget Show? One word? Nervous, just so nervous; the pressure is on, especially if you’ve got a big name like The Warlock of Firetop Mountain. I’ve read about it, I’ve read the books. I only first read the books two years back, but what I read was really cool because Train2Game actually talked about it (in the course books) which is why I was surprised when we got the IP of it! This is big. How much are you looking forward to taking part in the event? How does the prospect of being there in Birmingham at the NEC while making a game make you feel? Er, scared…Don’t get me wrong, it’s going to be an amazing experience. The reason I’m so scared is because it could change our life, and if anything there’s more pressure to get it right. If anything, these shots don’t happen very often, and we want to deliver as best as we can for this opportunity we’ve been given. But the skills you’ve learned through the Train2Game course will help you throughout the process. Oh yes, they’ve helped tremendously, especially for team management and project management for game design. It’s really opened a lot of the team’s eyes for what we’ve had to do. If anything, we’ve learned a lot more for this little development, and the Train2Game course helped. What are the contact details of the Commando Kiwi social media pages? It’s www.facebook.com/comkiwi and for Twitter it’s @CommandoKiwi We’re more than happy to engage with our fans. Thanks for your time Jonny, and good luck. We caught up with Digital Mage’s Craig Moore to find out how the road to Make Something Unreal Live at The Gadget Show has gone so far. Listen via Train2Game Radio or read it here on The Train2Game Blog. Hi Craig. Why did you decide to call your Make Something Unreal Live game development team Digital Mage? Well, originally we were called Team Gandalf, and because we’re using the visage of a mage and everything like that, it just seemed a bit close to the bone in regards to licensing. So, we decided to change to something that was equally wizardy and call ourselves Digital Mage, which actually came about because we found a random name generator online and it happened that upon us. It kind of felt like fate. And I guess it works well with the Fighting Fantasy IP you’re working on, can you tell us which book in particular your game is based on? We’re working on Armies of Death. And what genre is your game going to be? Luckily for us, we’re making a strategy game, and we’re hoping to do something quite fun and interesting with it within what we can do with the engine itself. How have you found using UDK on IOS and how are you finding making a strategy game out of it. In all honesty we’re working against the grain, it feels at the moment. It’s a lot of hard work but hopefully it should be good when we get it all up and running, we’ve managed to make some quite nice headway with it and we’ve got some really good stuff and it’s looking promising. 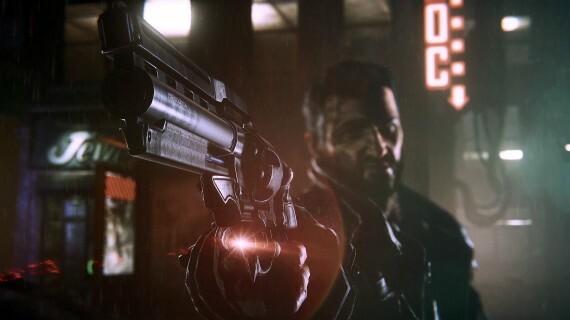 We should be able to deliver the game we want to deliver at the end of it, the game we set out to deliver when we first started planning it all out. What’s going to make your game different? There are a lot of strategy games in general out there – tower defence is a huge genre on IOS devices – but one on the Unreal Engine is a completely different story, that’s a bit of a rare beast. What particular element of strategy are you going for in particular? We’re doing what we like to call ‘Tower Offence’ where we’re changing the game upsidedown on its head and you’re no longer places all the towers, you’re doing the attacking. How have you found the transition from being Team Gandalf at the Train2Game & Epic Game Jam, to being Digital Mage, a fully operative game development studio? It’s a lot of hard work, we have to spend a lot of hours in the evening just communicating things that could be done very easily in face to face situations. But it’s slowly coming together as a lot of people in the team who’d never worked in teams before are getting the hang of it now and it’s all kind of slowly falling into place which is really good. It’s a credit to the team themselves who are coming together nicely and it’s working well. What targets have you met recently that you’re particularly proud of? As sad as it sounds, about 1 a.m. last night he had a massive breakthrough. We managed to get all of our units appearing in the game and with little animations. It was kind of a real nice penny drop moment where we thought we could actually do this, and come up with something that potentially could be really cool. And you’re looking forward to many more of those moments on the road to Make Something Unreal Live at The Gadget Show? Yeah, hopefully! Fingers crossed we should have lots of more of those and they should just get better and better with each turn. And how much are you looking forward to the event itself, working on the game in front of potentially a large audience in Birmingham? It should be fantastic. The size of the crew and the crowd don’t really phase me in any way, it’ll be really nice just to have the team together in one place after all this learning experience building up to it, but having all that power and working knowledge in just one place again will be a really, really nice feeling and it should help us mould even better as a team. 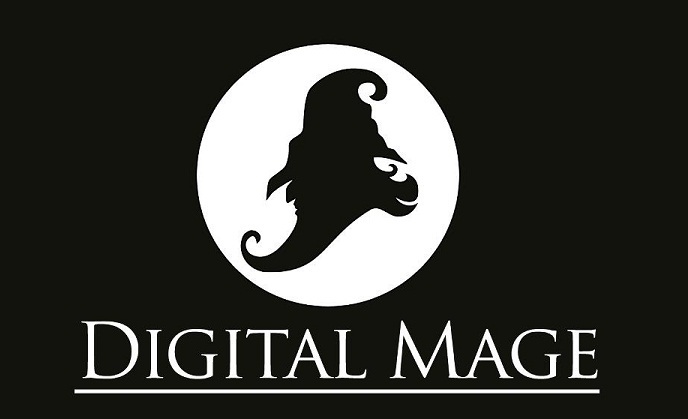 For those who want to find out more about Digital Mage, what are your online contact details for Facebook and Twitter? They can look for us on Facebook, just search for Digital Mage, we should show up with a little black icon. And on Twitter we’re @DigitalMage. Great, thanks for time Craig and good luck. Train2Game students will get to see Unreal Engine 4 later this year. That’s according to Epic Games Vice President Mark Rein who not only said Unreal Engine 4 is scheduled for a reveal in 2012, but hinted that it’s already in the process of running on next-gen consoles. “People are going to be shocked later this year when they see Unreal Engine 4 and how much more profound an effect it will have,” Rein told G4TV. And while the development kit for Unreal Engine 3 took years before being given to indie studios and modders, The Train2Game Blog has previously reported that Unreal Engine 4 will be available to the public much sooner than the current version was. And while there’s no guarantee that an Unreal Engine running on a next gen console would look like that, Rein reportedly said Unreal Engine 4 is running on “systems we can’t name yet,” which could potentially signal a next generation Xbox console. Alternatively, it could be the Nintendo Wii U, scheduled for release later this year. For more about Epic Games, the Unreal Development Kit and that Samaritan tech demo, see The Train2Game Blog interview with Epic European Territory Manager Mike Gamble, who was speaking to us at the Train2Game & Epic Game Jam. So Train2Game, what are your thoughts on Unreal Engine 4 being revealed this year? Could it already be in the works for next-gen consoles? 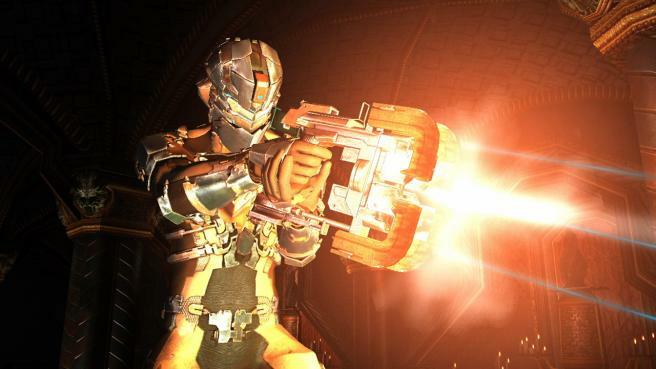 Train2Game game designers should definitely be interested in this, as Dead Space 2 Combat & Control Designer Brian Bartram offers advice on how to get into the industry. In an EA feature titled Breaking into the Industry, the Visceral Games man says experimenting with game engines and modding are great ways for aspiring game designers – such as Train2Game students – to practice their skills. The Train2Game Blog regularly posts about the benefits of modding. “The best advice is to give it a try. Download a game engine and try building your own levels, modifying existing games, and creating original content.” Bartram told EA’s The Beat. It was the Unreal Development Kit that Train2Game students used to produced games at last November’s Train2Game & Epic Game Jam. The Dead Space 2 Combat & Control Designer added that creating user generated content – in using games such as Team Fortress 2, LittleBigPlanet 2 or Infamous 2 for example – is also a great way to gain experience with game design. “Creating multi-player maps for games is another channel. Some games allow you to create “user generated content,” and I advise aspiring designers to give them a try.” Said Bartram, who also suggested designing board games is a good idea. Bartam’s advice is similar to that given to The Train2Game Blog by Red Faction: Armageddon game designer Jameson Durall in an interview last year. It might be lengthy, but EA’s interview with The Dead Space 2 Combat & Control Designer provides an excellent behind the scenes insight into the industry. You can read it in full here. So Train2Game, what are your thoughts on Bartram’s advice? Do you produce your own user-generated content? Train2Game students have a great year for games in 2011, but while the games industry is very successful, the business behind it is still “shockingly immature.” That’s according to Epic Games President Mike Capps in an interview with GI.biz. 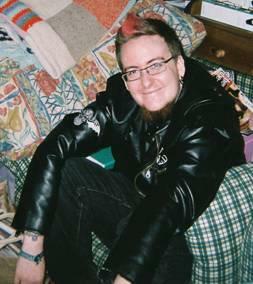 In the extensive piece, Capps argues that the games industry needs to share learning and experiences in order to continue to improve. “Our games industry is shockingly immature from a business perspective, because so few folks have business experience before coming in, or an education for business,” he said. “It’s awesome because it’s entrepreneurship gone right, that’s what our industry comes from, and that’s really exciting, but there’s not a lot of sharing, there’s not a lot of great game business ‘how to’ books, so we try to share and people listen to us, for some reason, and we try to learn as much as we can from everybody else and their mistakes. It just seemed like the right thing to do.” said Capps. The Epic President said licensees of their Unreal Engine help each other, rather than only looking out for their own interests. “There’s no reason, if you find a bug, you don’t go ‘ha ha ha, that’ll give us an edge on Splinter Cell!’” said Capps. Of course, four Train2Game student teams, winners of the Train2Game & Epic Game Jam will be attempting to win a UDK licence of their own when they compete at The Gadget Show Live next year. Lots more about Epic Games and their Unreal Engine can be found in the Train2Game blog interview with Epic’s European Territory Manager Mike Gamble. Get more Epic Games news here on the Train2Game blog. So Train2Game, what do you make of the Epic President’s comments? Should games business work closer together for the benefit of the industry? Train2Game blog readers may have seen this post last week where Square Enix said a Final Fantasy VII remake would take too long to develop. Final Fantasy VII is a game many have called to be remade for the current generation, and it seems one enthusiast has got fed up of waiting. They’ve used the Unreal Engine to show what a Final Fantasy VII remake could potentially look like. You can see the video at the bottom of this Train2Game blog post. The video shows the first section of Final Fantasy VII and is played from a first person perspective. While the animation and interaction is a little on the stuff side it offers an interesting glimpse and what could be. Unfortunately, it’s likely this fan created game will be pulled offline by Square Enix in the near future. Still it’s an impressing showing of the variety of things that can be one with Epic’s Unreal engine. Epic Games of course were heavily involved with last month’s Train2Game & Epic Game Jam, which saw four winning teams win places to the Make Something Unreal Contest at the The Gadget Show Live next year. The winning team will talk away with a fully licence Unreal Development Kit for Ios. For more information on what that means for the winners, check out our interview with Epic Games Mike Gamble. So Train2Game, what are your thoughts on the fan make Final Fantasy VII remake?